How Does ISIS Get Its Money? Prominent Islamic State (IS, ISIL, or ISIS) cheerleaders on Twitter celebrated the fatal shooting of a Canadian soldier Wednesday, hailing it as just retribution for the country’s decision to join the fight against the Middle Eastern terror group. 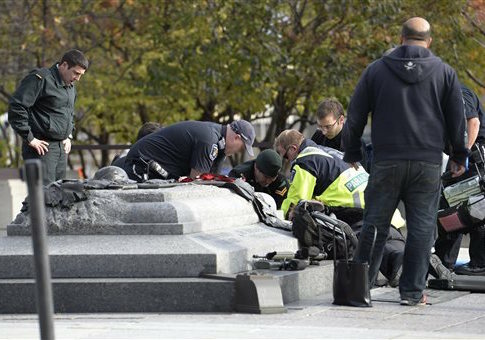 While it remained unclear late Wednesday what the motivation of the gunman—identified as Canadian-born Michael Zehaf-Bibeau, 32—was, IS backers wasted no time in praising his murder of the soldier and subsequent shooting at Canada’s parliament. Multiple Twitter users known for their pro-jihadist rhetoric celebrated the violent attack and warned that IS will wage war on any country that opposes it. “My sympathy goes out to all the victims by Canadian F16s. They themselves have brought the war home!” one user identifying himself as Abu Zarqawi tweeted shortly after the attack. The tweet, like others praising the murder, was retweeted many times by others. Another IS backer identifying himself as Muthanna al-Kanadi was “laughing out loud” over the deadly attack. “Another Shooting in Canada,” al-Kanadi wrote. “This time inside the Pariliament [sic] building…and they wanted to bomb Iraq and Syriaa [sic]… lolllll [laughing out loud],” he tweeted. “After Canada decided to Bomb & murder muslims, Supposedly just few bullets shook all of #Canada. Expected wasn’t it?” Muhajir tweeted. The Canadian Parliament’s decision to join the U.S. and other countries in the battle against IS sparked the attack, some claimed. Many signaled that the shooting was a form of retribution. “Bomb innocent people in Syria/Iraq and you expect roses and hugs from Muslims back home? It’s called action/reaction. 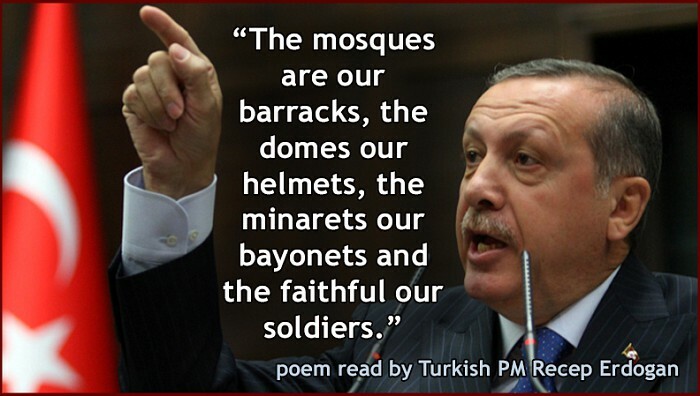 Go figure,” tweeted yet another IS backer named Israfil Yilmaz as events unfolded Wednesday afternoon. “Canada getting a taste of their own medicine?” wrote Yilmaz, who has had his multiple Twitter accounts disabled in the past for his pro-terror tweets. Both messages were retweeted numerous times. “Canadian politicians who voted for war against the Islamic #Khilafah now in terror during todays #ISattack in Canada,” wrote user AbuUmar8246. Another user identified as Abu Saeed AlHalabi said Canadians should not be shocked by the attack. “It’s always stunning when a country that has brought violence and military force to numerous countries acts shocked & bewildered,” he wrote. Zehaf-Bibeau was reportedly killed after he fired shots inside the Parliament. The shooting happened near a room where Canadian Prime Minister Stephen Harper was giving a speech, Reuters reported. “PM [Harper] was addressing caucus, then a huge boom, followed by rat-a-tat shots. We all scattered. It was clearly right outside our caucus door,” Treasury Board Minister Tony Clement was reported as saying by Reuters. The Parliament was placed on lockdown and citizens of Ottawa were ordered to stay inside until the situation was resolved. Late Wednesday, authorities had still not ruled out the involvement of more people in the shooting,according to CNN. The attack occurred two days after a terror attack in Quebec. So, that’s how Turkey got all its hostages back from ISIS, they promised to give the barbaric terrorist group legitimacy on the world stage. AWD News Islamic State in Iraq and Syria (ISIS) intends to inaugurate its first diplomatic mission in Istanbul in order to provide consular services for all who wish to join the extremist group in Iraq, reported Turkish daily Aydinlik as saying. Abu-Omar Al-Tunisi, the ISIS de facto head of foreign relations issued a statement, saying that the Islamic Caliphate is determined to launch its first diplomatic mission in a friendly and Muslim country. He further noted that the ISIS hopes that the bilateral relations with Ankara will witness more developments under the aegis of newly-elected president Recep Tayyip Erdoğan. ISIS also claims that its consulate in Istanbul will pay the hospital bills of all wounded Islamist militants who traveled to turkey to receive medical treatment. CHP (Republican People’s Party) , a leading Turkish opposing party issued a communique condemning Turkish government decision to allow ISIS to open a legal diplomatic office in Çankaya – the central and elegant metropolitan district of the city of Istanbul. Earlier, the Turkish Prime Minster Ahmet Davutoglu acknowledged that Turkish diplomats, kidnapped by ISIS militants when Mosul, Iraq’s second largest city was seized in early-June, were released in a prisoner exchange deal with ISIS. The Turkish government spokesperson said on Sunday in a press conference that nearly 50 Islamist merciless detainees including a family of a prominent warlord were set free in a swap deal and in return, all Turkish hostages were released and reunited with their families. The government spokesman reiterated that he is not authorized to neither confirm nor reject reports about the probable opening of ISIS consulate in Istanbul. 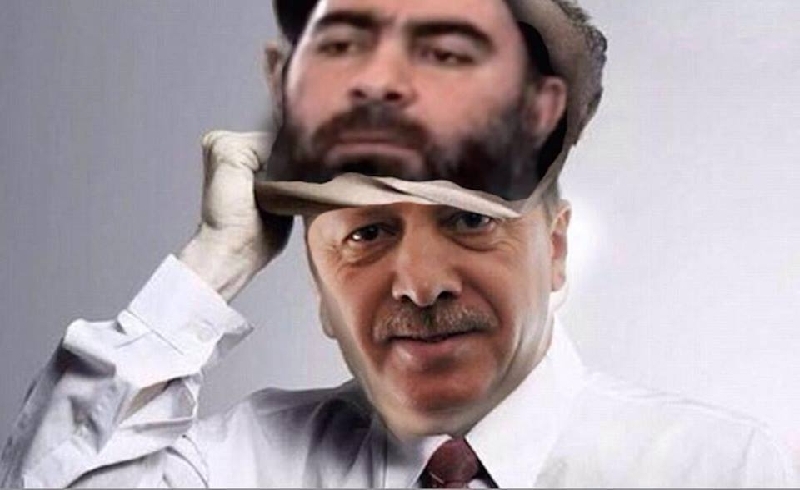 The Turkish omnipotent president in an interview with government-run TRT news channel dismissed many reports alleging that his government is keen to establish a formal relation with ISIS, the hardline organization which controls vast swaths of northern and western Iraq and also neighboring Syrian provinces but in a same time, he blatantly advocated the prison exchange deal with the infamous ultra-Islamist militants. Huge Mistake! Iraqi Pilots Drop Supplies – Instead of Bombs – On ISIS Militants! Can We Fight ISIS on the Internet?